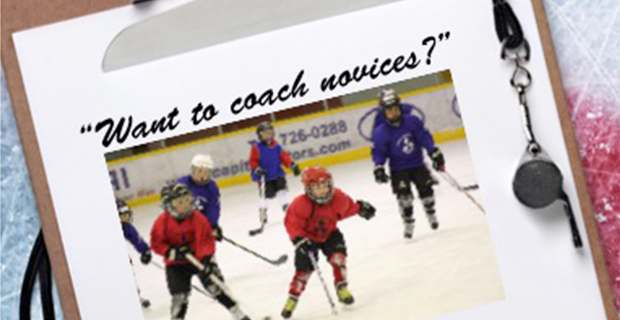 Novice, for 7-8 year olds, is the first age group after the Initiation Program. In my area, ‘C’ is the lowest level of ability. In other words, most of these kids have never played an organized full ice game. Ever. Here are 10 reasons why coaching these kids is much more difficult than any other level or age. 10 - Skate? How about shuffle quickly? Many at this level are either new to the game or were new only a year ago. Skating to them means if they can get from point A to point B without falling or stumbling, it’s a good day. 9 - You do what with the puck? 8 - Why is the coach standing on the bench waving? Someone once thought it a fine idea for beginners to have the same offside and icing rules as the pros. This explains the coach’s wild gesticulations. 7 - Time for the next, um, drill… Sort of. The coach has mined books, the web, and manuals. He’s dug up clever little drills. Except they all involve tricky technical issues like: changing direction; manipulating the puck; maybe even sharing it. What if your kids can’t do any of these yet? 6 - The art of line changes. Most leagues don’t have line changes determined by a timed buzzer. Must have been suggested by the same person from #8. The coach shouts for the kids to come off the ice. Some dutifully try to obey; some don't. They waddle to the door and cause a terrific pile-up trying to squeeze onto the bench for a rest. The rest are in la-la land and stay on for half the period. One kid’s dad tells him he needs to play centre. Others are supposed to be wingers. Only two of the 11 are okay with playing defence because it seems you do the least amount of skating there. And the coach has to equalize icetime. Simplest solution of course is to just roll them out one door after they come off through the other. Except the “centre” will only play centre. Four others don’t want to play with each other because two of them monopolized the Spiderman toys at yesterday’s birthday party. Forecheck = Chase. Backcheck = Chase from the other end. Headman = Whack the puck hard and hope someone from your team touches it first. Breakout = What happens when you touch poison ivy Mom said not to touch. The kids need help with just about everything. The rink. The net. The benches. It’s not like that in soccer. How come?